Squealer is made from pale pink fabric with a slightly darker pink for the snout, ears and tail. There is no doubt he’ll make you smile! 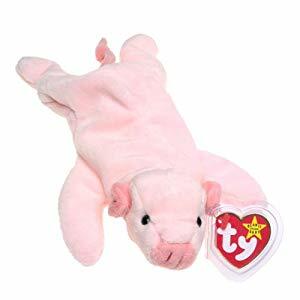 Squealer the Pig was one of the original nine Beanie Babies released on 8th January 1994. His birthday is on 23rd April 1993. Squealer was one of the original nine that was in production the longest, retiring on 1st May 1998.